Chris Andrews’ decision to leave Fianna Fail and join Sinn Fein should not come as an enormous shock to any serious political observer. Both in outlook and practice the two parties are moving closer together all the time. Vaguely social democratic, loosely republican, tactically shrewd and always determined to put pragmatism before principle, the parties are as compatible as chips and vinegar. Chris had no great distance to travel and it would not be surprising if other Fianna Failers were to follow his lead and join Sinn Fein. There is, of course, a considerable organisational rivalry between the parties as they contest similar space. Sinn Fein’s efforts to outmanoeuvre Dev’s old party are assisted by the odium clinging to Fianna Fail as a result of its responsibility for the Republic’s current, dire economic situation. 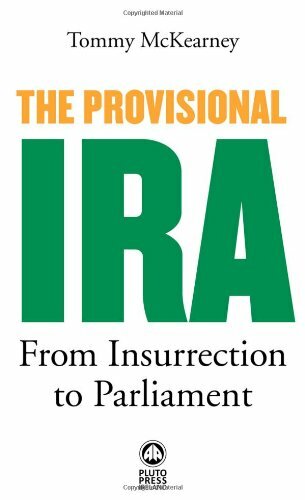 By exploiting this opportunity, Sinn Fein maintains inter party tension and draws the usual riposte about its relationship with the Provos and the party’s brief fling with socialist economic policies. Notwithstanding such spats, the recruitment of Chris Andrews from one of the old and established Fianna Fail families (his grandfather was a founding member of the party and his uncle a cabinet minister) is a significant development. Many Fianna Fail sympathisers will now view Sinn Fein as a realistic alternative or partner. By the same token, Gerry Adam’s party will very likely pitch its cap strategically at winning over Michael Martin’s grass –roots electorate. While an imminent merging of the parties is unlikely, their programmes and practices will grow closer as they battle each other for the same soggy, centre ground. What will not happen as a result of Sinn Fein’s ‘start of season signing’ will be the development of a progressive socialist or republican programme. Meanwhile, the Irish Labour Party is in a political tailspin, the trade union movement is in disarray and the debilitating impact of austerity and repayment of bank debts continues to increase. There never has been a greater need for a coherent, vibrant socialist republican alternative to the current political stagnation.